Mark Wilson/Getty ImagesDon’t tell us what you’re dedicated to. Tell us what you’ve done. I recently heard from a reader who loved her job except for one annoying coworker. In the age of open offices, privacy at work is increasingly nonexistent. Confronting a coworker can be tricky. It’s daunting to think that if you upset this person, you’ll still have to see him or her every day. The solution here is simple: politely ask the coworker to leave you alone. Next time he interrupts you, don’t entertain him or act patient. You don’t have to be rude, just direct. There’s no benefit to being “shy” at in the workplace, as my coworker Libby Kane writes in this great compilation of hard truths about adulthood. Avoiding conflict will only push you to the edge. Tell your nosy coworker that you’re busy working on something the boss assigned you, and then ignore the person if he or she butts in again. If you stop engaging her and she still doesn’t get the message, it’s time to talk to your manager about the problem. Ashley Lutz is a senior editor at Business Insider answering all your questions about the workplace. 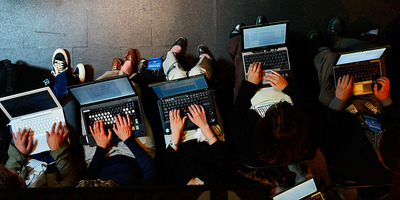 Send your queries to [email protected] for publication on Business Insider. Requests for anonymity will be granted, and questions may be edited.